The phrase just made me smile because it’s so funny. Sometimes I feel like saying the same thing, but then who am I fooling? I believe its better knowing that I tried and failed, and that I learned from it. For three weeks, I was on “pause”. Not that I wasn’t busy – far from it! I just had to put a few things on hold. And yesterday, I was back on “play” mode. This cherry blossom on our front lawn is 65 years old. When we moved here 15 years ago, a gardener told me that my tree is dying. 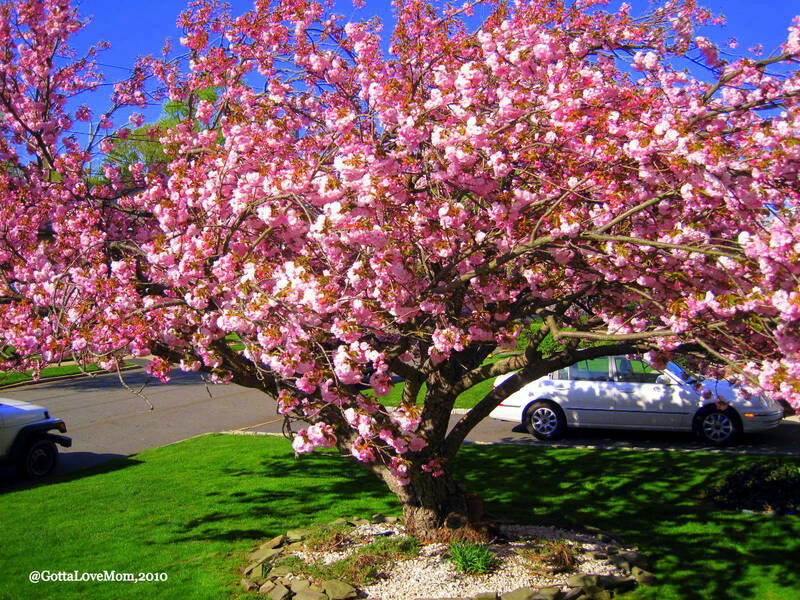 But then, every spring the tree blooms beautifully and is the most gorgeous tree on the block. Wouldn’t it be nice to have the same determination and resolve as this tree? What do you do when you feel like you’re at a dead end? I love it! That's what I feel like doing sometimes, especially when it is a burnt supper.